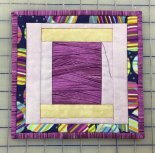 Welcome to the fourth of 12 Foundation Paper Piecing Block of the Month adventures! One choice for April will be creating the spool of thread block from Kimberbell’s Sew It by Number: Paper-Piecing Throughout the Year. You can personalize this spool with fabric and finishing details of your choosing. Will you make this as a door decoration? An adorable pincushion? 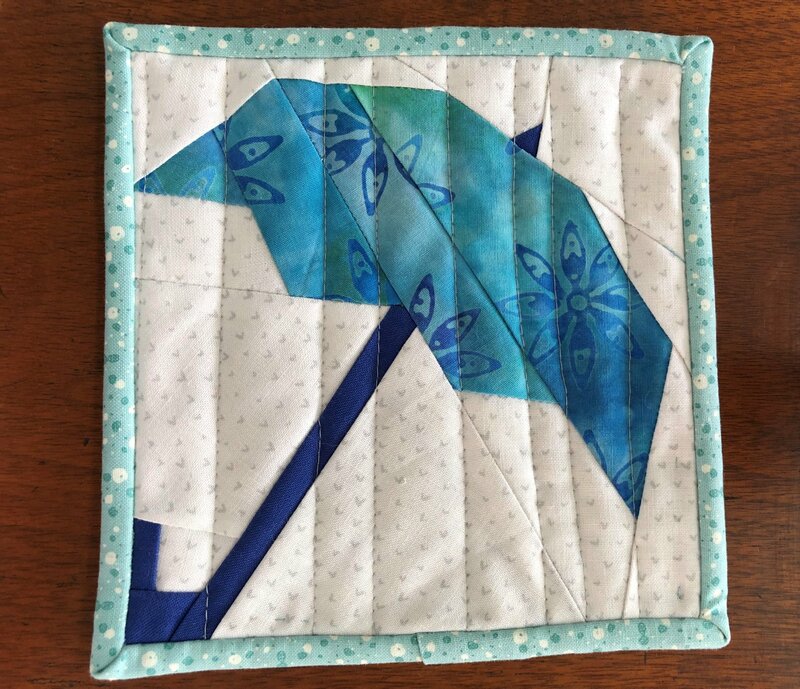 If you would prefer to stretch your foundation paper piecing skills, create an April showers umbrella. 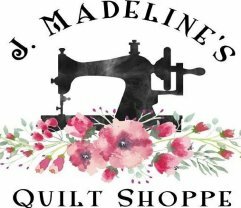 You will learn how to paper piece a pattern that has several sections and how to work with directional fabrics. It's a challenge, but you can do it! Please download the original pattern from Linda Worland's excellent site: www.paperpanache.com. Two Umbrellas pattern. Click this link for pre-class directions. Requirements: The Kimberbell book, "Sew It by Number: Paper-Piecing Throughout the Year" is required if you wish to create the spool block. If you wish to create the umbrella block, please download the pattern from www.PaperPanache.com: https://docs.wixstatic.com/ugd/61a067_ec69b22c5d1d482ab2fd083d3e857714.pdf. Instructor can provide scaling options to make umbrella block in varying sizes. Please contact her directly at jbwwtod@gmail.com. Block must be printed on foundation piecing paper before class. Instructor Bio: Jane is a teacher from 8-3, and enjoys playing with fabric when mom/wife life permits. She loves paper piecing because it's a lot like coloring. Her goal is to make it stress-free and, dare we say, fun, for her students. Jane can sign for Deaf participants. No prior notice needed.